We’re on a mission to recognize the fitness instructors who don’t just look great on Instagram—but actually inspire us to be better. So together with Reebok, we asked you to nominate trainers for the first-ever America’s Most Inspiring Trainer title. After nearly 5,000 entries, we’ve narrowed down the pool to 12 amazing finalists—and now it’s time for you to choose a winner! Learn more about Sultan Malik below, and cast your vote by December 23. The jobless rate for people with a prison sentence is up to 60 percent—but Malik beat the odds within days of his release. “Within the first week, I was able to develop a network of 8-10 people I was training consistently,” he says. Soon after, he started at ConBody, a prison-style boot camp taught by trainers who’ve served time, as well as YG Studios. 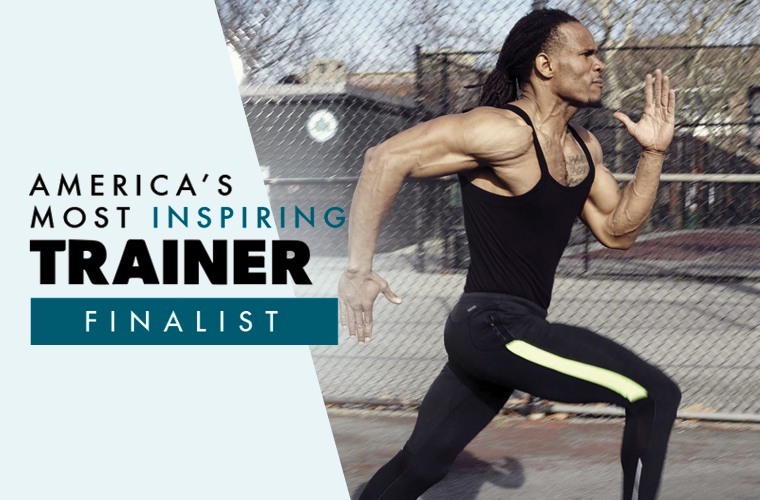 The winner of America’s Most Inspiring Trainer will score an exclusive one-year contract with Reebok and major coverage on Well+Good. Cast your vote now!